Are you looking for a partner who is NAID AAA Certified in hard drive destruction? Do you need a Certificate of Destruction with scanned barcodes for your records? Do you require onsite (mobile) destruction? Do you prefer offsite destruction? As an IT professional, you understand the importance of ensuring that countless gigabytes of sensitive company data can never be accessed once computer assets reach the end of their lifecycle. Hard drives, solid-state drives, and mobile phones contain data that require rock-solid proof of destruction. Trust the company that meets the highest standards in the destruction industry to destroy those assets. NAID AAA Certification means we perform background checks and drug testing, utilize lock-down procedures, maintain strict chain of custody, and adhere to policies that make us a partner you can trust. We are NAID AAA Certified for both onsite and offsite destruction, so you can be assured of the highest security no matter which choice you make. We barcode scan media serial numbers and add them to the Certificate of Destruction you receive each time we complete a destruction project for you. 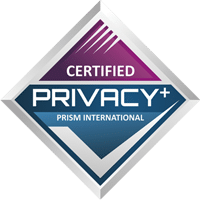 This way, you have a permanent record that you are in compliance with company policy and government regulations for privacy protection. Hard drive destruction as low as $6 per drive depending on volume means the cost of security is low, and the value is high. Call us or complete the form on this page today and gain peace of mind when you choose safe, secure hard drive destruction by Corporate Records Management. Need Secure Hard Drive Destruction? Need Secure, Affordable Hard Drive and Media Destruction?